Utah, Arizona, Idaho fishing boat rentals,fishing charters, fishing guide service for and water enthusiasts. Affordable fishgin charters fishing Boat Rentals and fishing lessons. Rent one of deluxe fishing boats and do it all yourself or try out our fishing guide service with service to lakes in Utah, Arizona, Wyoming, Idaho And Nevada. TK Watersports offers full Service Water Sports Charters, touring charters, family charters and Corporate business retreat charters. We do all the work you play and have fun. Take the worry out of boating with our professional charter services & VIP Boat Rentals. Lunch Available in full day fishing trips and guide service. For those who may be unsure of operating their own vessel or just want to enjoy a day of fishing without the hassles of operating the boat, this may be the package for you. Available for half day rentals or full day. All the equipment included along with instructior & guide. Great for large or small groups. 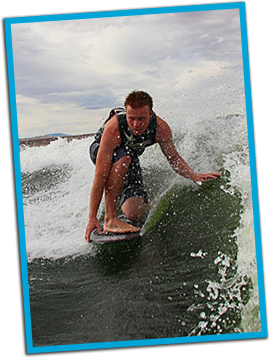 Half days available at Utah Lake, Deer Creek or Jordanelle. Have a great day on the lake with friends, family and or business and leave when its all over and leave the boat and equipment clean up to us. Let our Guides/Instructors help you get to the next level. Choose your actives.